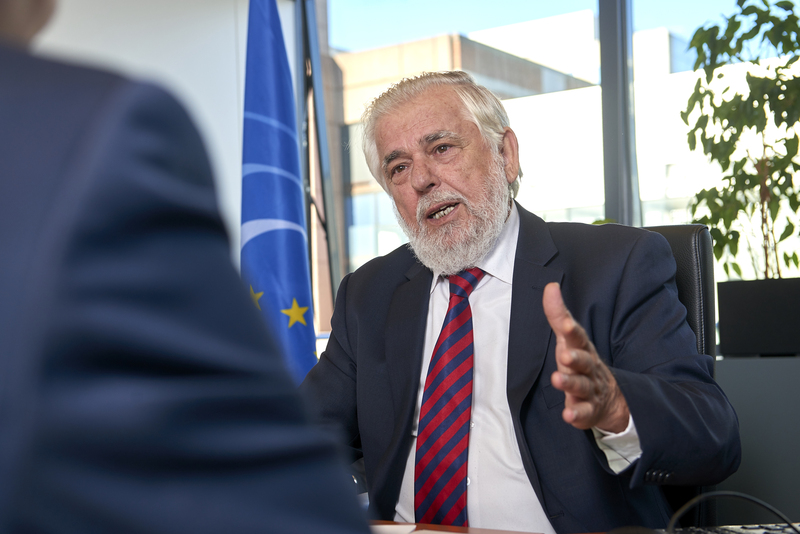 Georges Dassis is the new president of the European Economic and Social Committee (EESC). The members of the European Economic and Social Committee, my colleagues for over ten years now, have just done me the honour of electing me to be their new president. As a labour activist and representative of civil society within the EESC, I have always fought to make Europe more democratic and more socially cohesive. Europe must make it possible for every one of its citizens to live in dignity and prosperity. When it started out, our European Community drew in many countries as a nucleus of stability, peace and prosperity for all its population. Its objectives were to achieve harmonisation and economic and social cohesion between member states and regions, based on the Structural Funds and common policies: to harmonise progress. Sadly, we are now witnessing a distinct crisis of confidence among the general public towards the Union, and the enthusiasm that it generated in the past has faded. What are the reasons for this? The absence of a European social policy and the financial crisis that spread from the United States in 2008 contributed to an explosion in unemployment that has turned our young people into a lost generation or potential exiles. Poverty has recently escalated in Europe, even affecting people who are in work. We must stop blaming failures on Europe and attributing successes to national governments: the EU can provide real and achievable solutions. The EESC has given the European Commission detailed recommendations in this regard, including on a European minimum income, a financial transaction tax and issuing of eurobonds. The voice of civil society must be heard. I will devote my term in office to ordinary people, and to championing their Europe, a Europe that protects and includes them. Extreme poverty must be alleviated and massive investment mobilised in youth employment, infrastructure projects and research and innovation. Europe must be equated not with a race to the bottom, but with a race to the top. It must improve the lives of all its citizens, in all corners of the continent. The EU must remain internally resilient, guaranteeing the basic principles of free movement of people and goods and ensuring a healthy competitive environment in which businesses can thrive. This will ensure that Europe is also open to the rest of the world, and that it can defend both its economic interests and its social and environmental standards. For many of the world’s peoples, for those fleeing war and famine, Europe represents an ideal. Europe has a duty to let these people in, but it also has a duty to consolidate its achievements, to work tirelessly to be better, so that every citizen can enjoy decent living and working conditions. The Problem is that the EU is not close to the people !!! The EU is for itself , a self perpetuation bureaucratic institution . The people in member states are misrepresented by their national governments . The EU has NO right or popular mandate to flood European countries , with alien races and Muslims that will never integrate . What the EU has allowed to happen is a tragedy precedented only by WWII . This Tsunamic invasion of Europe by unwanted people could very well bring the collapse of the EU .